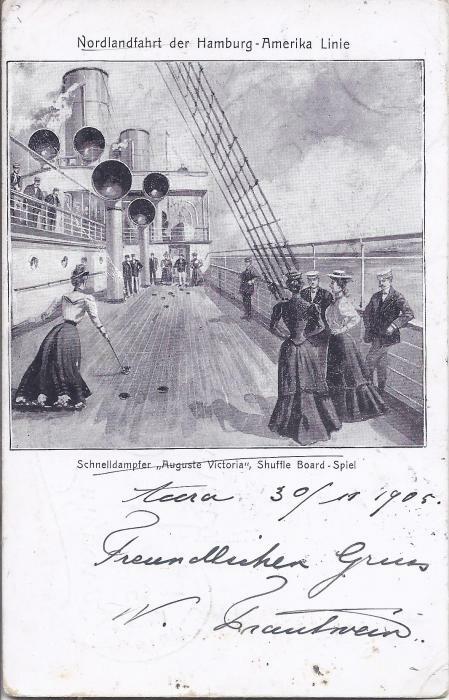 1905 registered Norwegian picture postcard of �Nordlandfahrt der Hamburg-Amerika Linie�, written from Accra to Germany bearing single franking 1s., blue manuscript and black handstamped �R�, Plymouth and London registered transits at bottom left and arrival cds by stamp; some slight corner bumbps, mostly fine and unusual. 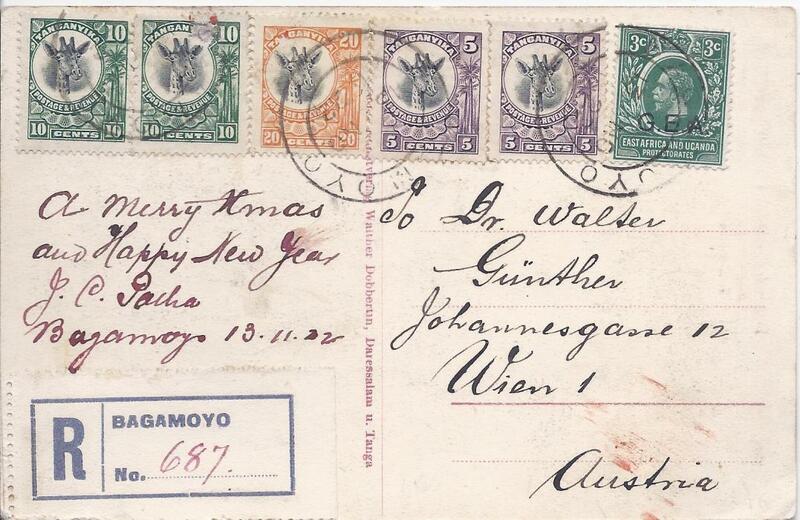 1906 picture postcard of Mombasa native street sent registered to Halle, Germany bearing single franking 3a. tied Mombasa cds. 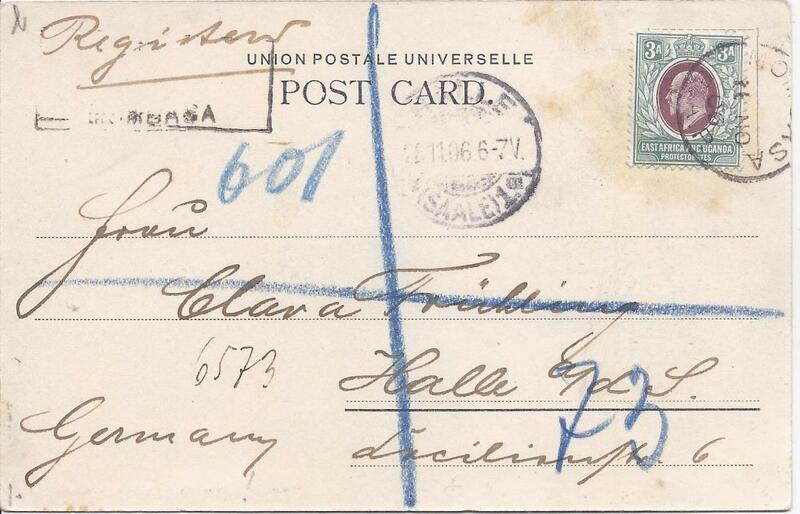 1922 registered picture postcard to Austria franked G.E.A. 3c. and Giraffe 5c. 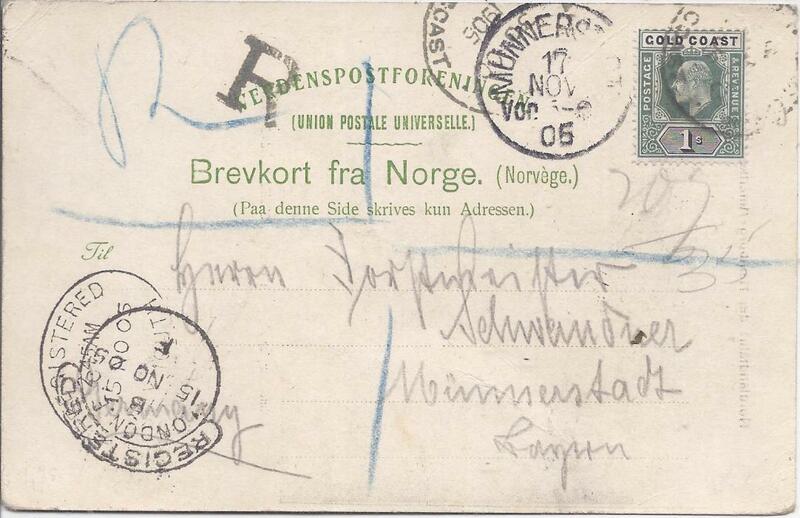 (2), 10c. (2) and 20c. tied Bagamoyo cds; fine condition.